Apple began taking pre-orders Tuesday for its soon-to-arrive iPhone 4, the next version of the company’s smartphone lineup which it introduced during last week’s Worldwide Developers Conference. And as can often be the case in the wonderful world of cellular services, the whys and hows of securing your phone order can be a little confusing. There is much good news to be had in conjunction with the launch of Apple's latest device—from a larger number of retail partners to substantially easier upgrade rules, getting a new iPhone should be easier than ever. Still, navigating all the options and possibilities can be challenging, as anyone who logged onto Apple’s online store Tuesday to place their order discovered. Fortunately, we have some answers to your frequently asked questions about iPhone ordering that should clear up any lingering confusion. Where and when will iPhone 4 launch? The new device will be available on June 24 in the United States, France, Germany, Japan and the United Kingdom. Pre-orders for those countries start on June 15. In July, availability will expand to 12 more countries: Australia, Austria, Belgium, Canada, Denmark, Finland, Hong Kong, Ireland, Italy, Luxembourg, The Netherlands, Norway, New Zealand, Singapore, South Korea, Spain, Sweden and Switzerland. No country-specific prices or launch dates have been announced. When all is said and done, Apple plans to have the iPhone 4 in 88 countries by the end of September. Where can I pre-order my iPhone? You have several options here in the U.S.. As you might imagine, iPhone 4 is available for pre-order from Apple’s online store for either home delivery or in-store pick-up. (At recent product launches—most notably last year’s iPhone 3GS rollout and, more recently, the iPad release—a pre-ordered store pickup saves you from having to stand in line at the Apple Store.) Similarly, you can place a pre-order with AT&T for pick-up at its store locations. So which stores will carry the iPhone 4? Apple and AT&T will carry the phone when it’s released June 24. But there are a couple other retailers in the mix—Best Buy, Wal-Mart and Radio Shack will have the iPhone 4 for sale starting a week from this Thursday. Can I pre-order my phone from one of those other retailers? Yes, but not from the comfort of your computer. On Tuesday morning, Best Buy announced that its retail outlets were accepting iPhone pre-orders. (The retailer’s Website currently lists the iPhone 4 as “coming soon.”) Neither Wal-Mart nor Radio Shack have any mention of the iPhone 4 on their respective Websites as of yet. Which models are available for pre-order? Only the black 16GB and 32GB models of iPhone 4 are available for pre-order (and, presumably, at launch). Apple has not as yet provided any availability dates for the white models. However, Radio Shack stated on its official Twitter account that it anticipates having the white iPhone in its stores for launch. If this is true, Apple should certainly have the model available by launch as well. How much do the new phones cost? As we’ve noted elsewhere, the price of an iPhone 4 device depends on its memory capacity and on whether you are purchasing it at a subsidized price under a two-year contract with AT&T. For customers who activate a new contract, the subsidized prices start at $199 for the 16GB model and $299 for its 32GB counterpart. Existing contract customers who are eligible for AT&T's early-renewal program can take advantage of special pricing, which usually means a small additional fee—as little as $18—on top of the subsidized price. All other customers under a current contract will have to pay a $200 premium on the subsidized prices. It will also be possible to buy a phone outright without any long-term contractual obligations. In this case, the prices climb to $599 for the 16GB iPhone 4 and $699 for the 32GB version. Note that these devices will still be locked exclusively to AT&T. For a third option, Radio Shack has announced a trade-in offer. You can get $200 towards the purchase of an iPhone 4 if you bring in an iPhone 3GS. This means that, if you eligible for an AT&T upgrade anytime in 2010, you can get a 16GB iPhone 4 for "free," less any taxes and fees, and of course, handing over your iPhone 3GS. Can I buy more than one iPhone 4? AT&T states that new customers can only purchase one phone, and one device per household if you place your order online. Existing customers can purchase one device per eligible line on an account whether online or in a store. Apple, in an FAQ accessibly only during the eligibility process, states: "Pick up your first iPhone at an Apple Retail Store and an Apple Retail associate can help you purchase additional iPhones." How can I find out whether I am eligible for an upgrade? You can send an empty text message to *NEW# (*639#) or dial that number from your phone and AT&T will reply with a separate SMS to explain whether you qualify for the subsidized upgrade pricing. You can also check online through AT&T's website. What are the upgrade rules? AT&T has relaxed its eligibility rules for upgrades somewhat. If your current contract expires at any time in 2010, you can take advantage of special early-upgrade subsidized pricing. In practice, this means that you get the same pricing as new or off-contract customers, plus a small additional fee, which has been reported to be as little as $18. Naturally, upgrading under any subsidized pricing scheme will mean topping up your existing contract to another two years. I just bought an iPhone 3GS. Am I out of luck? Maybe not. 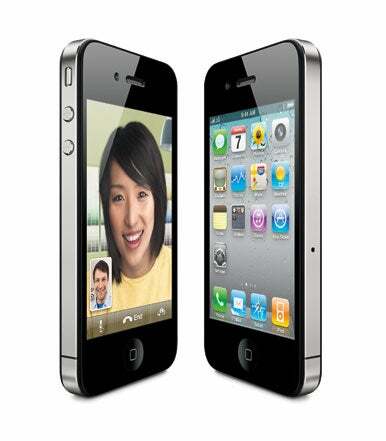 AT&T is offering recent iPhone 3GS buyers a rebate or a straight-out swap for an iPhone 4 under some circumstances. In short, if you've purchased your 3GS device between May 7 and June 7 (the date Steve Jobs took the stage at WWDC), you may be eligible for a rebate equal between the original price and the phone’s current price—$50 for 16GB models and $100 for 32GB models. Alternatively, you can swap your device outright for an iPhone 4 model, paying only any difference in price between your old and new phones. In order to take advantage of this offer, you must return your phone to the original point of sale within a specific time-frame—usually 30 days from the date of purchase. I’m having trouble placing my order for an iPhone 4. What gives? Join the club. We’ve been attempting to place orders Tuesday and have run into problems ourselves, and we’ve heard feedback from others of similar issues. Our best guess: AT&T’s registration system is being flooded with orders—a situation that will probably be resolved as Tuesday continues. We’ve also run into an issue where upgrading iPhone users who’ve been told previously that they’re eligible for the lower iPhone cost have instead been charged the full $599 or $699 price for their new phones. Obviously, that’s another situation we’ll be keeping an eye on as the day progresses. Updated at 8:41 a.m. PT to add information about Best Buy’s pre-orders. A gorgeous display, high-quality camera, and fast processor are the best reasons to buy Apple's latest iPhone.